OPEN BOW CHEETAH SCORPION. 6.2L MERCRUISER INBOARD WITH MERCURY BRAVO I OUTDRIVE. $3K STEREO SYSTEM. 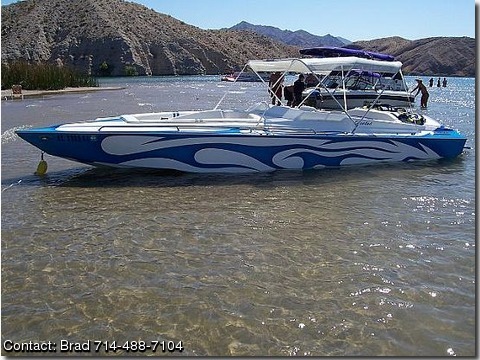 BIMINI TOP, CUSTOM BOAT COVER, ZIEMAN TRAILER, THIS BOAT IS LIKE NEW, ONLY 70 HRS ON IT!